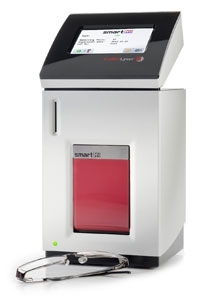 The Eurolyser smart PT (INR) test system is an easy-to-use, flexible point-of-care laboratory photometer that is capable of monitoring patients that are treated under permanent anticoagulation therapy. The rapid tests provide exact results that are comparable to advanced laboratory standards – which are documented in the attached evaluation. 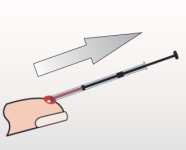 The compact, easy-to-use instrument and its tests provide a comfortable way of measurement of blood coagulation time respectively the determination of PT (INR) parameter from only 20µl capillary blood. Routine measurements of the PT (INR) parameter ensure a secure and effective adjustment of the e.g. Phenprocoumon-(Marcumar®) dose anticoagulated patients receive. Collect sample and dispense into cuvette.